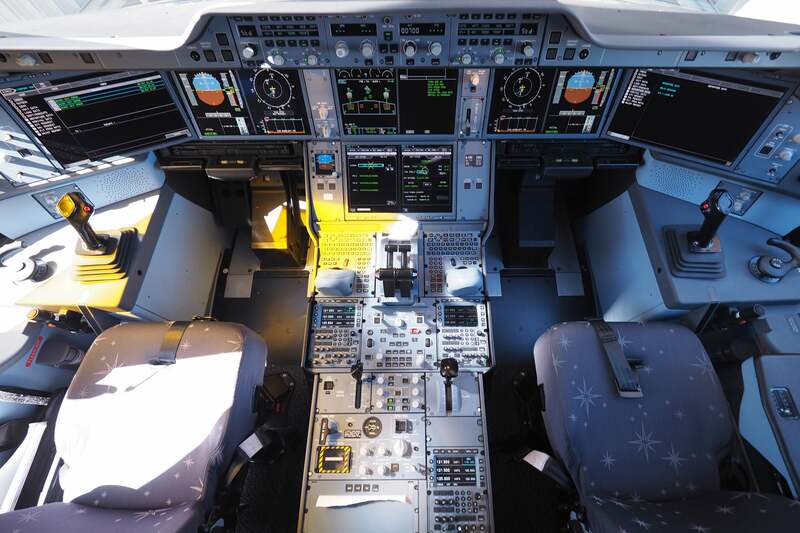 Typically when an airline takes delivery of an entirely new type of aircraft, it takes some time to get up to speed before the plane’s ready to welcome passengers. Case in point: Delta and the Airbus A350. 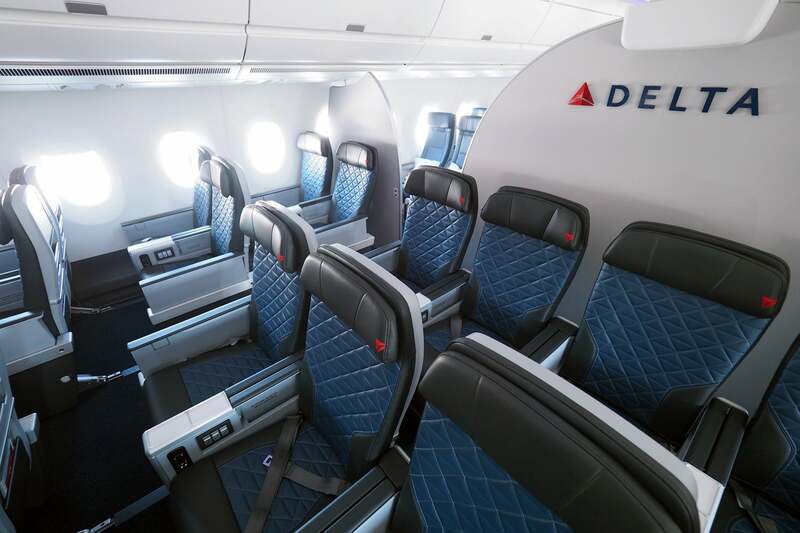 Delta Air Lines’ first A350 was delivered back in July and flew to Atlanta in early August, but Tuesday afternoon was the first time “real passengers” were allowed on board. 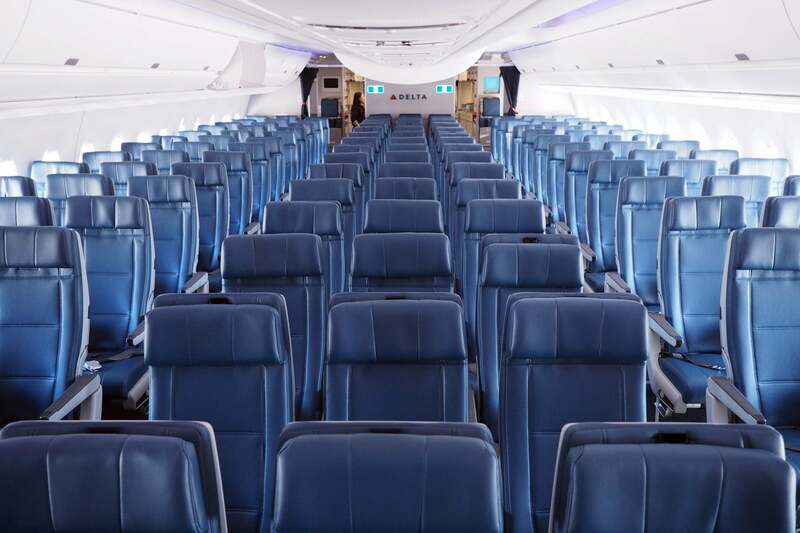 Delta is holding a media event at its Atlanta headquarters focused around the A350, along with the carrier’s two new in-flight products: Delta One Suite (business class) and Premium Select (premium economy). There’s a small group of journalists visiting from around the world, and while we knew we’d get some time to tour the plane on the ground, Delta surprised the group with a last-minute demo flight, giving us a chance to experience the plane in the air. We’re boarding shortly flight DL9988, operated by N502DN, and I’ll be back with a full writeup of the in-flight experience on Wednesday — for now I wanted to share some initial impressions in an aircraft tour. 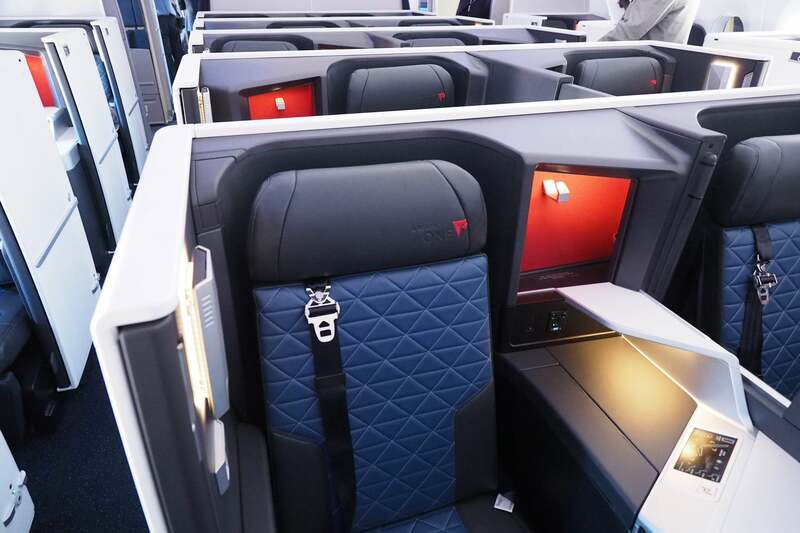 Delta’s A350 is the first plane to offer the new Delta One Suite, with 32 suites in a single large cabin. 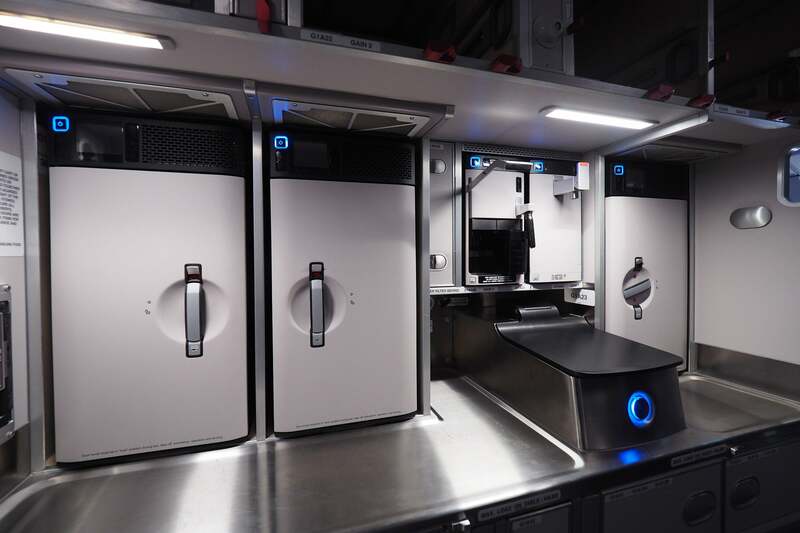 Suites are arranged in a staggered 1-2-1 configuration, with 18 in the center and 14 positioned on the sides of the A350. All Suites have a sliding door, so privacy is comparable, but my preference is the window-side Suites in the odd-numbered rows, which are right up against the window. The even-numbered window seats offer lots of privacy, too, again thanks to that sliding door. You can catch the door in action here — note that it doesn’t close all the way, but it’s almost flush with the edge. 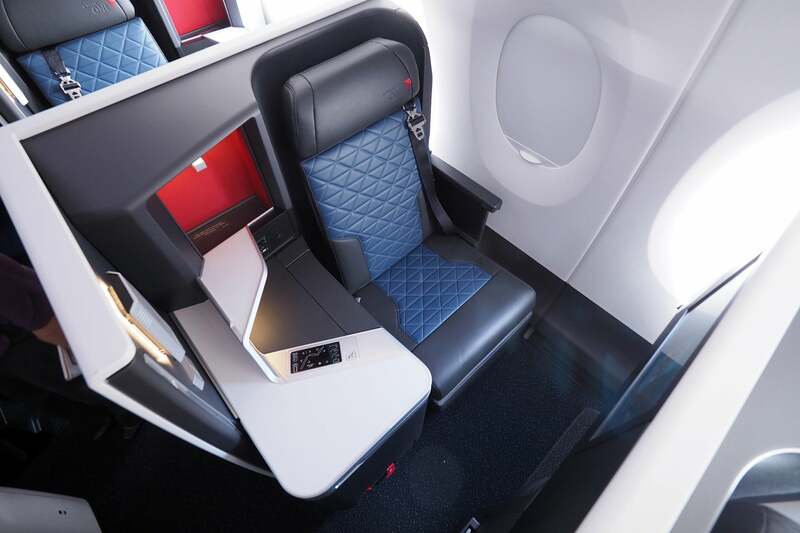 The Airbus A350 is also the first Delta plane to offer Premium Select, the carrier’s first true premium-economy product. These seats are also located in a single cabin, with 48 in a 2-4-2 arrangement. 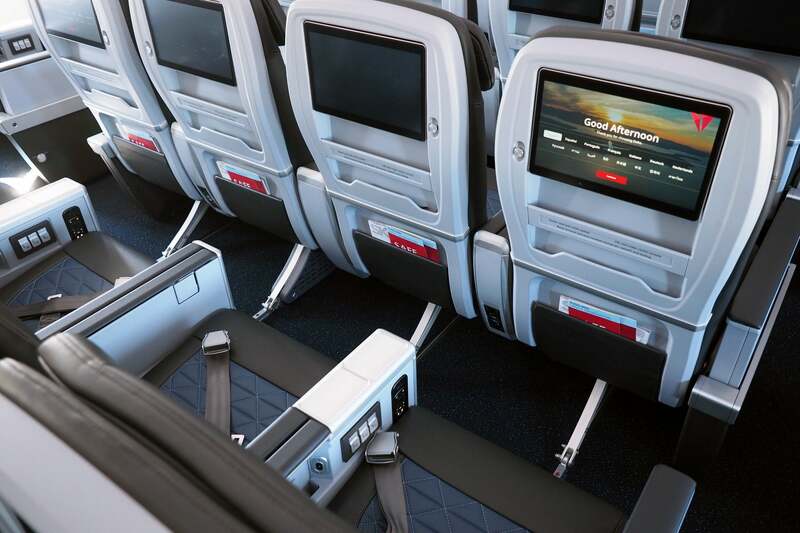 Premium Select seats are wider than those in economy, and include a slide-out footrest and extra recline. 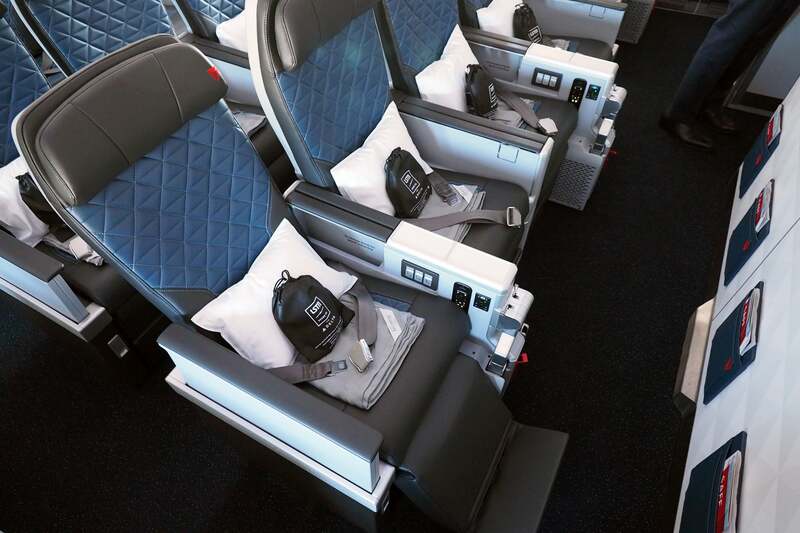 These seats have at least 38 inches of pitch, which is comparable to what you’ll find in domestic first class. Seats measure 18.5 inches, compared to 18 back in coach. 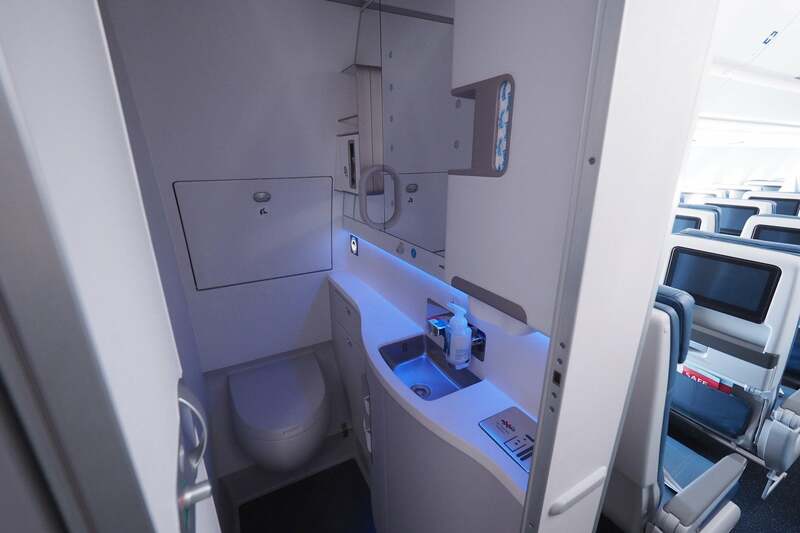 Economy is spread between two cabins, with a total of 226 seats in a 3-3-3 arrangement, which is standard for the A350. 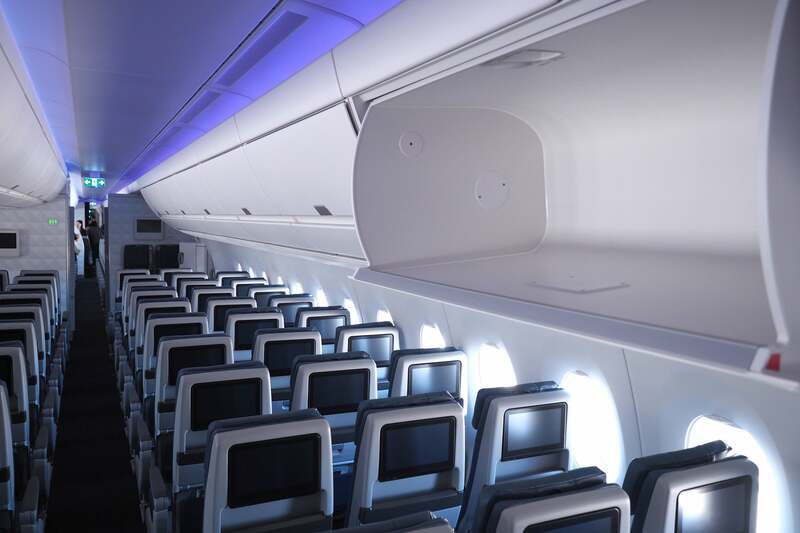 All seats offer at least 31 inches of pitch, in addition to HD inflight entertainment systems and USB and AC power. The overhead bins are sizable as well. 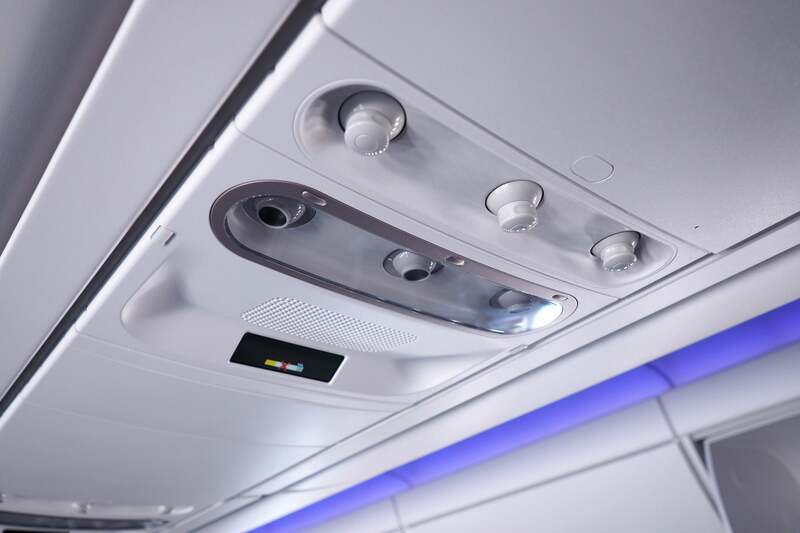 And there are dedicated air vents — always a plus in coach. Lavatories are on the smaller side, though. Up front, you’ll find the standard A350 cockpit — Delta’s most advanced to date. Then there are three galleys, including a small space up front behind the cockpit. 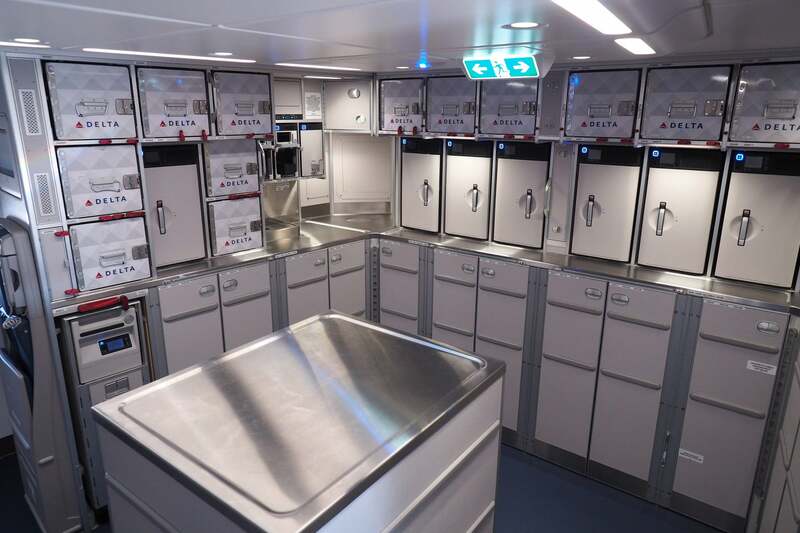 A larger business-class galley between Delta One and Premium Select. 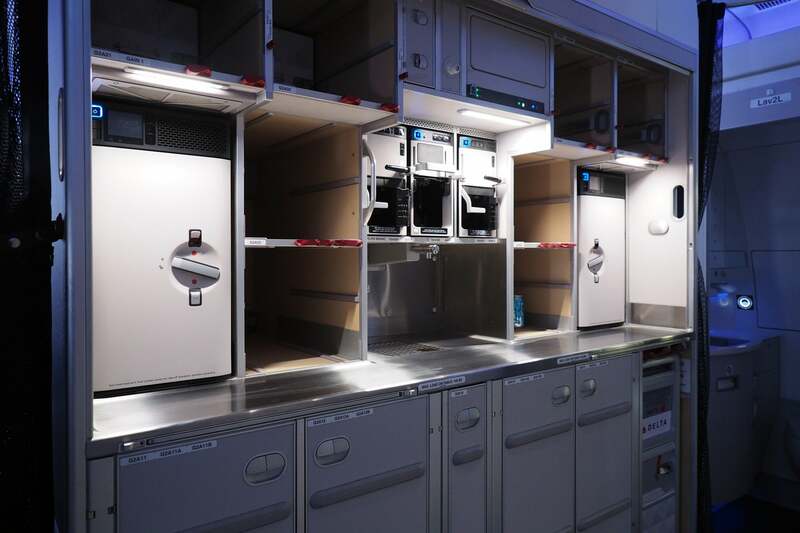 And a gigantic economy galley at the far back of the plane. Initially, we thought Delta might launch the A350 on domestic routes, but with the inaugural flight to Tokyo (NRT) less than two weeks away, it’s unlikely that the plane will be flying within the US before it sets off on its first international revenue trip from Detroit (DTW) on October 30. From there, the A350 will fly daily on the Detroit – Tokyo route as Delta Flight 275 on the outbound and Flight 276 on the return. The next international route also originates in Detroit, flying daily to Seoul (ICN) as Flight 159 on the outbound and Flight 158 on the return. That inaugural is scheduled for November 18. The next confirmed route is from Detroit to Beijing (PEK) beginning January 17, 2018, as Flight 189 on the flight to China and Flight 190 on the return to the US. Note that some Beijing frequencies are operated by the Airbus A330, so be sure to confirm the aircraft before booking your flight. 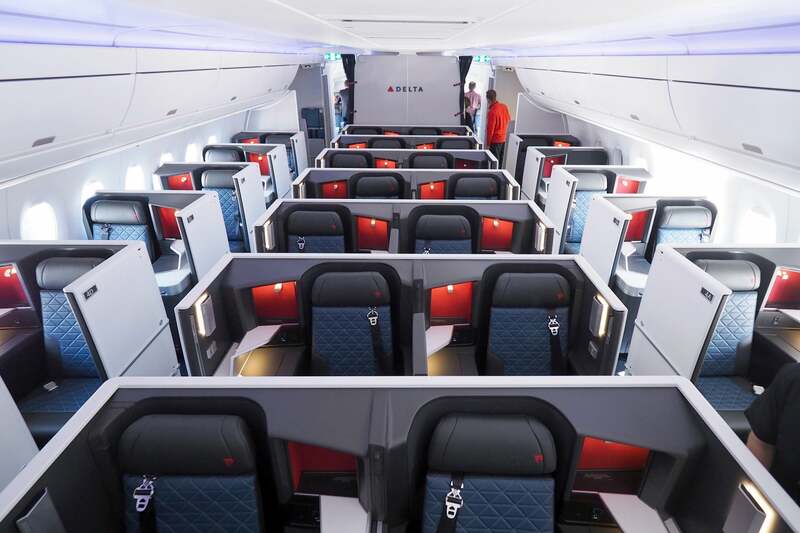 Finally, Delta has announced A350 service from Atlanta (ATL) to Seoul. The plane will launch on that route beginning March 24, as Flight 27 on the outbound and Flight 26 on the return. 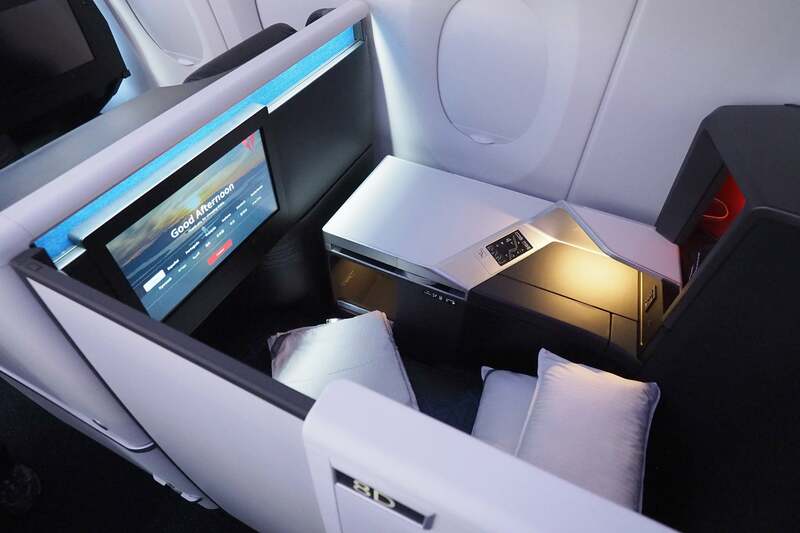 Note that some A350 flights require an additional charge of up to $500 each way when flying in the Delta One business-class cabin. 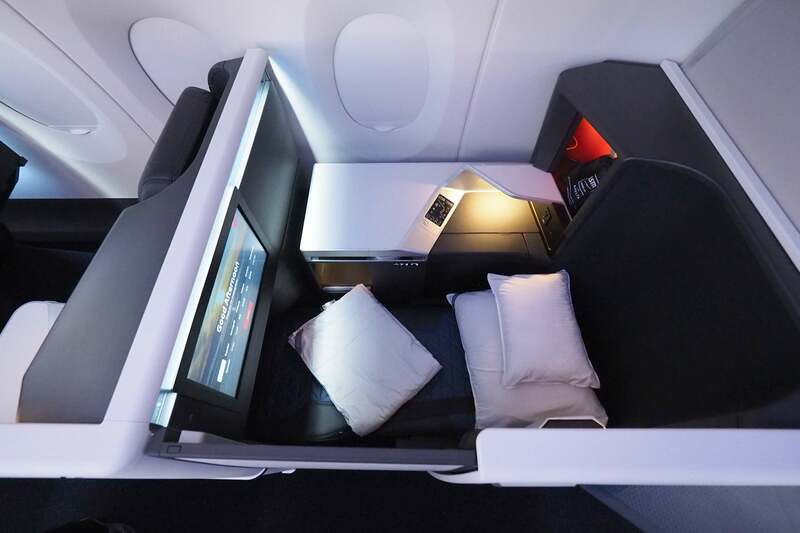 Delta’s A350 looks fantastic — while many of us will miss the Boeing 747 it replaces, there’s no question that this plane is superior in nearly every way when it comes to passenger experience. 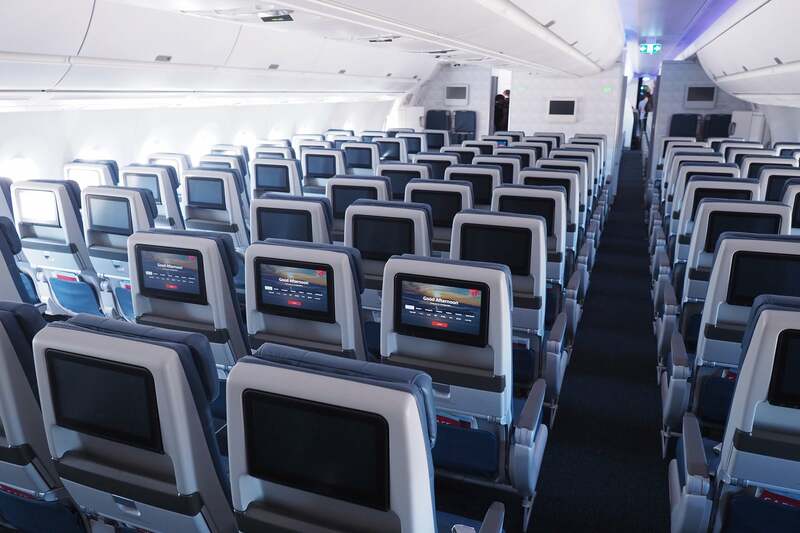 Our very first look at Delta's Airbus A350! 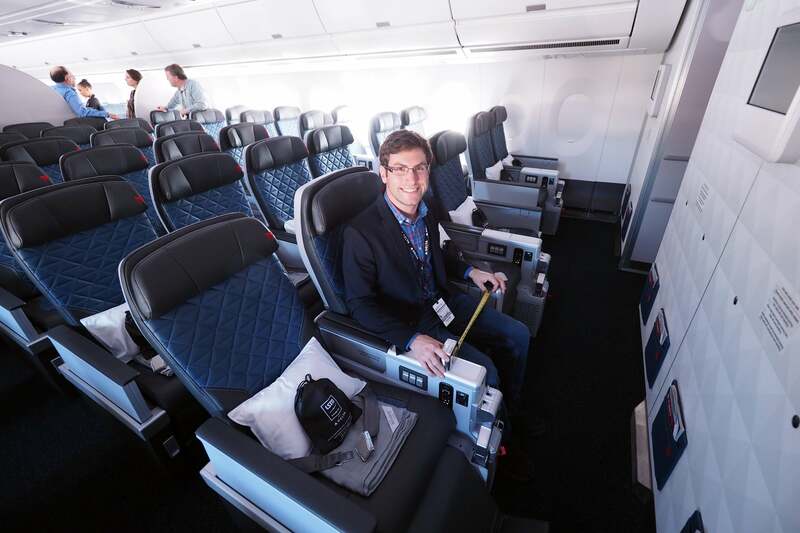 Tour Delta One Suites, Premium Select and economy with TPG Editor-at-Large Zach Honig.